THE big crowd that turned up to this month's council meeting heard more than they were expecting during their short stay. All but two of the people in the packed public gallery were there specifically to hear about the new dog management policy - in particular where dogs will be allowed to exercise in future - and most left once that matter was dealt with. But before we made it that far into the agenda, one of my councillor colleagues drew attention to an unusual transaction in the monthly financial report. This turned out to be a $100,000 interest-free loan from the council to a community group, advanced several months ago without a council decision and known only to a few. This loan was startling both for having occurred in the first place, and also for the apparent lack of concern it caused many of your elected members. Those present also heard that a personal loan had been provided to an elected member from ratepayer funds. It's bad enough that we are a cash-strapped council unable to do everything expected of us, but loans provided without the endorsement of a council meeting are another thing altogether. The council will give preference to groups which have broad community benefit, seeking amounts in the range of $200 to $1000. The closing date for applications is November 30, 2016. 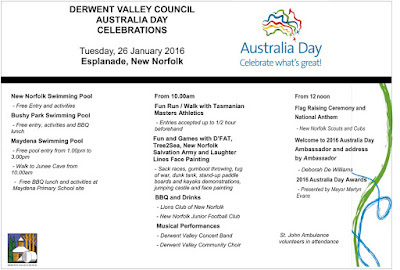 Application packages can be collected from the Derwent Valley Council offices, Circle St, New Norfolk, or downloaded. 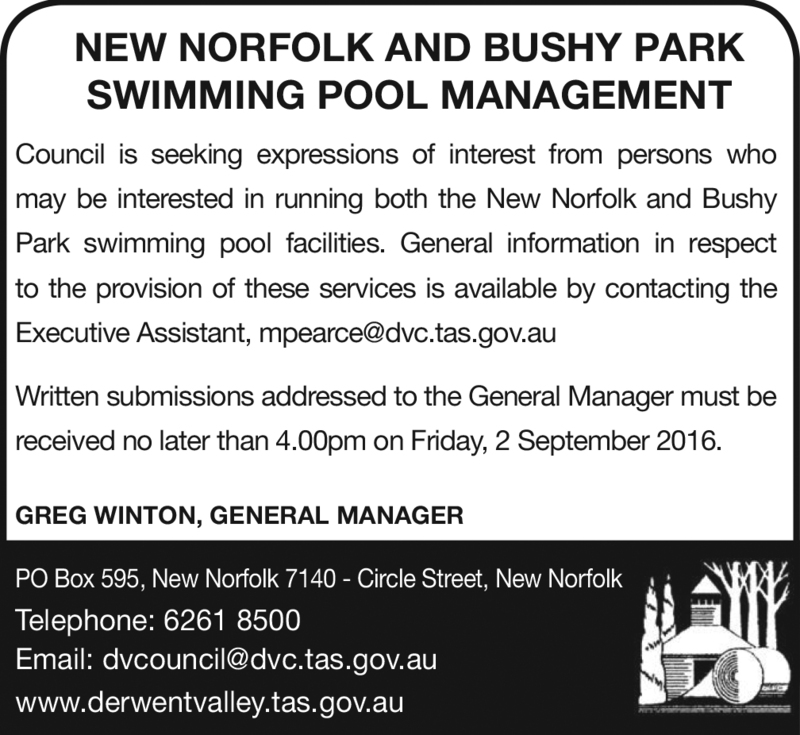 The Derwent Valley Mayor Martyn Evans announced that Mr Tai Youd had been appointed to operate both the New Norfolk Swimming Pool and the Bushy Park War Memorial Swimming Pool. This year the Council reviewed the operating conditions for the pool contracts and invited Expressions of Interest closing in early September, said Mayor Evans. Following an assessment of the submissions received the previous operator of the New Norfolk Swimming Pool had been awarded both contracts. 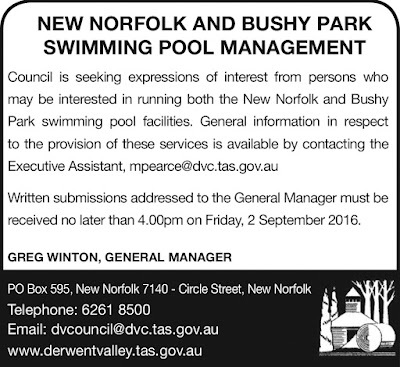 The season for the New Norfolk Swimming Pool will commence on 10 October 2016 and conclude in March 2017. It is anticipated to commence the Bushy Park War Memorial Swimming Pool operations in November 2016 and conclude in March 2017. Mayor Evans also indicated that the Council that a facilities review is to be undertaken by the Council to consider the operational efficiencies and strategic direction for a number of Council owned facilities including these swimming pools. 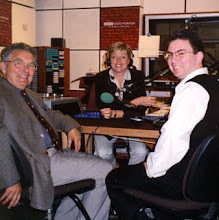 Valley Council on 29 September 2016. In March 2016 the Council invited expressions of interest for membership of the panel. Following the review of the expressions of interest received, the Council appointed Councillor James Graham and Councillor Julie Triffett to the committee. In addition the Council also determined the following persons to be appointed as independent parties. Mr Robert Hogan retired after over 14 years as Waverley Council’s Divisional Manager of Governance and Integrated Planning in New South Wales. 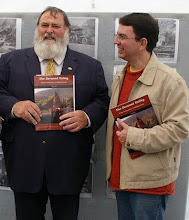 Up until July 2013 he was a member, and chair, of Audit Committees for the Boorowa, Cowra, Harden and Young Councils in New South Wales. 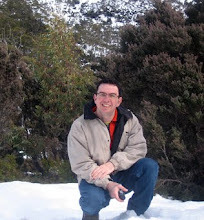 Mr Hogan is currently a member of a number of Tasmanian council Audit Panels. Mr Gary McCarthy is a successful executive with operational, business development and commercial experience, most recently through a large Government Business Enterprise. Mr McCarthy has a strong analytical focus and 14 years experiences as a finance executive, across a wide range of businesses. Authorised for general media distribution by Greg Winton, General Manager, Derwent Valley Council on 23 September 2016. A new domestic waste disposal coupon system for the Derwent Valley municipal area commenced on Monday 18 July 2016, following the distribution of the coupons to the owners of rateable properties in conjunction with with their rate notices. “The Peppermint Hill Waste facility has been operating since the 1950s," Mayor Martyn Evans said. "We are obliged to operate the facility in accordance with the Environmental Protection Notice, a licence issued by a State Government agency. We want to ensure it can be responsibly managed into the future also,” said Mayor Evans. The previous system of a "free weekend" each month had meant some residents were unable to receive this benefit due to employment or other commitments. There were also concerns about being able to safely manage the volumes delivered over such a concentrated period, as well as traffic management issues due to the popularity of the offer. The new arrangement - replacing 12 "free" weekends with 12 vouchers - means the Council can move forward with greater certainty in planning for both the extension of the life of the facility and preparing for the eventual closure and rehabilitation responsibilities. General Manager Greg Winton confirmed that the coupons could also be redeemed at the National Park Waste Transfer Station. “Regrettably, we overlooked that matter in the printing the coupons; a lesson learnt” said Mr Winton. Mayor Evans also advised that following feedback received during the first week of operation, steps had been taken to ensure the new system was more equitable, confirming each coupon would now equate to one cubic metre of waste. The gate price is $10 per cubic metre. 12 coupons have been issued for each property. The mayor acknowledged that whilst some property owners might not use some or all of their vouchers this year, the Council had taken the necessary long term view in structuring the new system. “Perhaps those property owners who won't use all of their allotted coupons this year could offer them to a local charity or community group. Some might also choose to barter their value,” said Mayor Evans. "Council also strongly encourages rental property owners to ensure the vouchers they receive are passed on to the tenant." “Waste is an expensive business these days. No longer can we as a society simply bury rubbish and walk away. We are planning for our future” said Mayor Evans. "An evaluation of neighbouring council areas shows that waste disposal in the Derwent Valley remains the among most inexpensive in the region. It is also worth noting that even with a modest increase to $10 per cubic metre for the gate price, this is still about half of the actual cost to the council." A SPECIAL household rubbish collection will be carried out this Wednesday for those whose service was cancelled due to last week's flooding at Westerway. This service will cover the area from the Gordon River Rd turnoff at Westerway, though to National Park and Maydena. See the council website for more information. The Derwent Valley Council will be amending the due date for payment of dog registration fees, together with permitting one additional domestic dog to be registered at a 50% discounted fee for eligible pensioners. 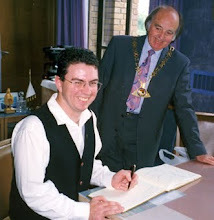 Mayor Martyn Evans indicated that the Councillors had decided to make the change recognising the impost of a relatively short time period to pay the registration costs. "The General Manager has confirmed with me today that the necessary administrative arrangements can be put in place effective from Monday 18 July. What this means is that the date for registrations at a reduced price has been extended until 31 August 2016," said Mayor Evans. "The reduced price each year as an incentive for early registration. It supports our desire as a Council to ensure we have accurate up to date contact details, so that in the event a pet is found it can be readily returned." Mayor Evans also indicated that Councillors had agreed to allow the discount for pensioners domestic pets to be extended to two dogs, rather than one. While there are relatively few people seeking to claim the discount in thie circumstance, Councillors considered it appropriate to make the change formal as it aligned with past practices." For some 40 eligible pensioners who have already paid fees for their two domestic dogs, Council Officers will be arranging a reimbursement to occur in the coming month indicated General Manager Greg Winton. The Waste Management Charge is a charge that has been introduced by the Council which applies to all rateable land under Section 93 and Section 94 of the Local Government Act 1993. The Waste Management Charge of $51.50 is in addition to charge for the wheelie bin service. Why has the Waste Management Charge been introduced? The Council has considered it necessary to introduce a waste utility charge which goes some way to covering the costs involved in the disposal of waste. Previously some waste expenses were not readily identifiable, but due to the increasing cost burden it was deemed appropriate to highlight the fact. As a ratepayer, do I receive anything for this charge? Yes, every rateable property will receive twelve (12) Tip Vouchers attached to their annual rates notice. To redeem a Tip Voucher it must be presented to the tollbooth operator on entry to the site. The Vouchers are valid until the 31st of July 2017. If I don’t use the tip, why do I have to contribute towards it? Given that most residents may need the use of waste facilities at some time, it is considered equitable that the charge apply to all properties. Some vacant land owners and urban residents may not utilise this service, but without the contribution of every ratepayer waste services would not be able to be maintained and this would impact on the whole of the municipality. How many Tip Vouchers will I need when I go to the tip? This will depend on what you are taking to the tip. 12 vouchers entitles you to dispose of six (6) cubic metres of domestic waste. Will there still be free weekends? No, free weekends will cease on Sunday 7th of August 2016. Congestion and site management issues were recognised by the Council. I am a tenant, can I have vouchers too? Vouchers are provided to the property owner (who pays the rates). Tenants wishing to enquire about Tip Vouchers should contact the managing agent or landlord. I am a tenant and the real estate/owner of property won't give me the vouchers they received. Providing Tip Vouchers to tenants is at the discretion of property owner/agent and not something that the Council can assist with. This will need to be discussed with them. I am concerned with the increases this year that I will not be able to pay my rates. If you have concerns about paying your rates on or before the due date, you may wish to apply for a payment arrangement with the Council. Payment Arrangement application forms are available from the Council Customer Service Desk or Council’s website. The Council reviews all fees and charges associated with Council services annually. The fees for annual dog registration is part of this review. The Council takes into consideration a number of factors including; the ongoing cost to manage animal control, the number of dogs within the municipality, animal complaints as well as improvements to service delivery. The change in pricing structure and registration classifications this year has been the result of a number of these factors. Why do pensioners get a 50% discount on a domestic dog only? Council's Dog Management Policy recognises the importance of providing a financial reduction to pensioners keeping companion animals. Therefore the reduction was set by the Council when it adopted its fees and charges for 2016/2017. Why are all pensioners not charged the same amount? Pensioners, like most owners decide whether to sterilise their dog or not. The difference between what pensioners are charged is based on whether the dog is sterilised. This is intended to provide fairness for pensioners. Why do pensioners receive a 50% discount on 1 domestic dog per household only? Council's policy regarding discounts to pensioners has always been applicable to one (1) dog. This year Council has further clarified this due to requests from the public regarding previous confusion. Why has the responsible ownership incentive been removed? Council has revised its Dog Management policy. The removal of the financial incentive for ‘responsible dog owners’ is part of this review and the Councils recognition that all dog owners should be responsible. A financial reduction is provided to those dogs that are registered prior to the July 31. Why has the registration price for Purebred dogs and Greyhounds increased? The pricing for all classifications of dogs has changed as part of the Councils review of the fees and charges for 2016/17. Why does the Council need the information it’s requested? Council is currently updating its system. The information that you provide will help to reunite dogs with owners if they stray from your property. Information including the owner’s details, dog breed, microchip number and proof of sterilisation are requirements under the Dog Control Act 2000. The information that you provide to the Council is managed in accordance with Personal Information Protection Act 2004. It’s important to update your details with the Council regularly. It is also a requirement under the Dog Control Act 2000 that the Council is notified of your dog’s death, loss, removal or transfer to another municipal area with 14 days. 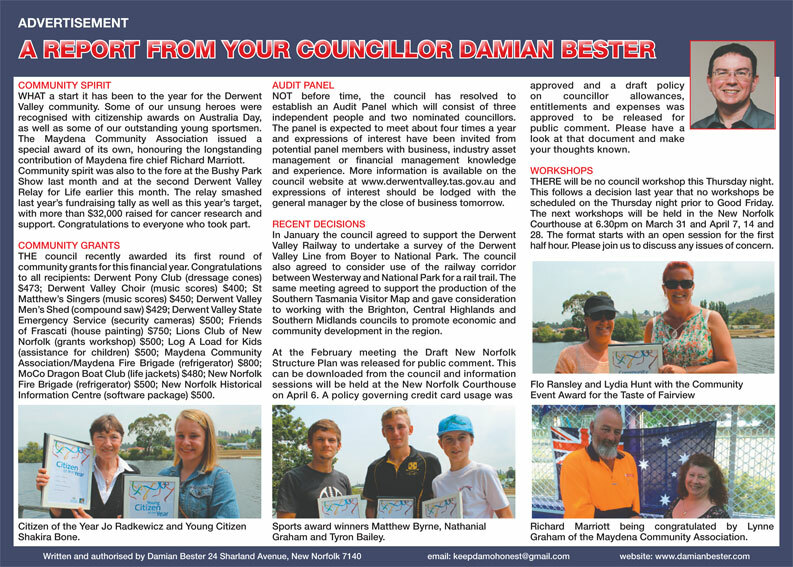 At the Council meeting held on 30 June 2016, the Derwent Valley Council considered the adoption of the 2016-2017 Annual Plan and Budget Estimates. The Council has also committed to continued improvement in areas such as asset management, risk and human resource practices, which supports the Council’s strategic aims by being innovative and sustainable. Allocation of monies for preparatory roadworks design. August 2016 (whichever is the later). “Council is very mindful of the current economic climate and the capacity to pay. Should a ratepayer be unable to meet a payment date, consideration will be given to special arrangements provided the application is received prior to the due date” said Mr Winton. THE Molesworth Community Hall will be the venue for the monthly council meeting this Thursday, June 16. It's a big night with a lengthy agenda including the council budget for the next year. What's happening in New Norfolk to complement Dark MoFo 2016? 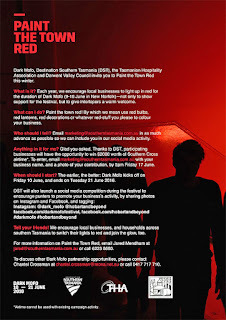 Red Street Lights: From Wednesday, June 8, until Tuesday, June 13, streetlights in High St, Pioneer Ave, Ferry St and surrounds will turn red as part of the Paint The Town Red campaign. This may cause a slight decrease in lighting levels but will not impact the safety of road users or the general public. Parking Restrictions: On Thursday, June 9, to ensure the safety of the public and to enable activities associated with the opening of Dark MoFo in New Norfolk, there will be no parking allowed in High St (from Charles St to Burnett St) or Burnett St (from High St to The Avenue) between 5-11pm. Attendees will be encouraged to use Laskey’s car park from 6pm to walk from High St and Burnett St to the Garden Party at the Ladies' Cottage/Old J Ward. As these parking restrictions fall outside regular trading hours for most businesses there will be minimal impact on regular trade. Fire Pots: Council has approved the installation of several fire pots in selected places through the town centre on the evening of Thursday, June 9. These pots will be staffed at all times to ensure the safety of residents and visitors to the town. New Norfolk activities during Dark MoFo: Visiting entertainers and pop-up eateries will complement local businesses. Businesses are encouraged to open for longer hours, co-ordinating with the Dark MoFo schedule. Shops may like to place mirrors in their window displays to follow the Dark MoFo theme. 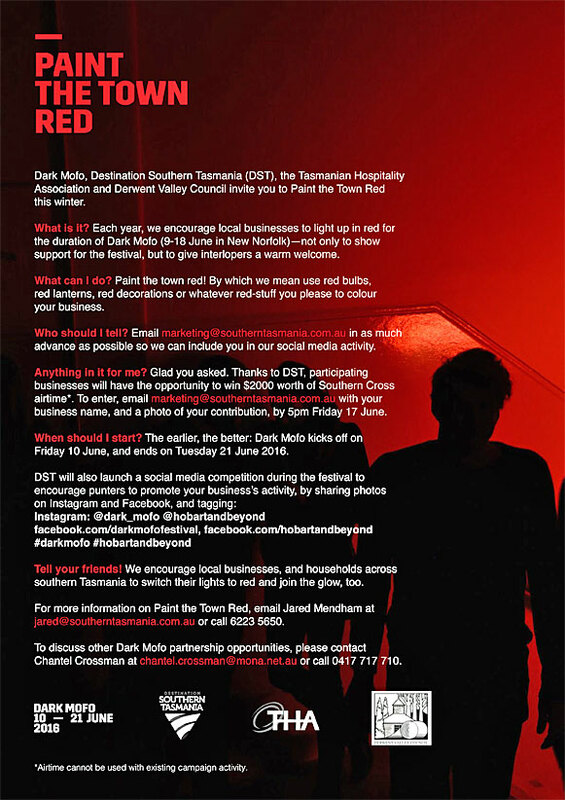 This is a great opportunity for businesses to have some fun and show off New Norfolk and enjoy the additional visitation that is expected during the Dark MoFo events at Willow Court. Please contact Jess on 6261 8517 or email jdallas@dvc.tas.gov.au for more information. What's happening with Dark Mofo? THE Derwent Valley Council has collaborated with Mona and Dark Mofo in partnership with Detached for the Asylum installation and Entry by Mirror Only performance by Mike Parr at Willow Court as part of this year's Dark Mofo Festival next month. New Norfolk will come alive with local and international supporters of the arts. New Norfolk businesses are invited to participate with later opening hours to cater for the expected increase in the number of visitors over this period. Entry by Mirror Only by Mike Parr will be open to the public for 72 hours straight, starting at noon on June 9. The venue for Entry by Mirror only will be the former Alonnah House/A Ward, in which Mike Parr will be drawing for the duration, or as much as possible. The site will be open to visitors 24 hours a day during this time. The cost of admission to the site during the performance is a mirror, of any kind, to be left behind. Mike Parr’s Asylum is a one-off installation at Willow Court, in which the Australian performance artist will create works in response to the site of an historic mental institution dating from 1827. Asylum will occupy different buildings including the Barracks (original convict hospital), Carlton House/C Ward (former male maximum security), Alonnah House/A Ward (former female maximum security), and the Occupational Therapy building, with video, sound, photos, objects and an interactive piece. Entry by Mirror Only: From noon Thursday June 9 for 72 hours. Entry price is a mirror, which you will leave behind. Asylum: Entry is free, register online. Open Thursday June 9 to Sunday June 12, 24 hours (by appointment after dark; register online). Monday June 13, 12-4pm, and Saturday 18-Sunday 19, 12-4pm. Can I participate and how? Yes, from Wednesday, June 8, to Sunday, June 19, everyone can join us in Painting The Town Red by theming your home or shop red. Face all the mirrors in your house out to the street - share mirrors for all to see – let the town reflect through you. Local business owners can take advantage of visitors coming through the town. Feel free to stay open later, create specials or do whatever you’d like to make your business intriguing. Let us know what you’re doing and we can ask to add you to the website of participants. Take a look at the Paint The Town Red flyer (above) and see what prizes you could win by participating. Who do I talk to about participating? You can use the contacts on the flyer, or for Council questions contact Jess on jdallas@dvc.tas.gov.au or ring 6261 8517 during business hours. 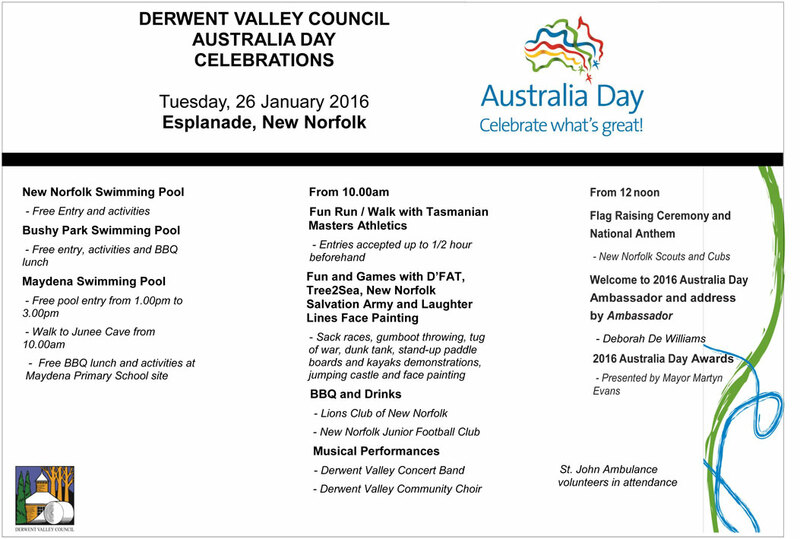 Don’t miss this incredible opportunity to share the best of New Norfolk and the Derwent Valley. THE council is once again seeking public submissions for the next budget. Written submissions for the 2016/17 financial year will be received until the close of business on April 7, posted to PO Box 595, New Norfolk or emailed to dvcouncil@dvc.tas.gov.au. All submissions received will be considered before the new council budget is finalised in late June. 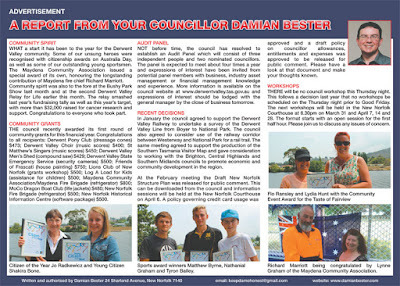 BELOW is my councillor update published in the Derwent Valley Gazette last week. THERE will be no council workshop this Thursday night. This follows a council decision last year that no workshops be scheduled on the Thursday night prior to Good Friday. The next workshop will be held in the New Norfolk Courthouse at 6.30pm on March 31. The format starts with an open session which the general public is invited to attend and this is for the first half hour. There are no agenda documents for council workshops. THE Westerway Community Hall will be the venue for the monthly council meeting this Thursday, March 17. The evening will start with a community forum at 6.30 and this is your opportunity to come along and ask any questions of concern, have a chat with your councillors, or let us know what you think about the idea of a footpath through the town. The formal council meeting will follow at 7pm. ON the face of it, it seems pretty disappointing to hear that three good ideas failed to gain approval at last week's council meeting. There are many who agree that a temporary mall in High St, food vans in our central business district and major parks, and a council presence on social media are no-brainers, but none gained a majority vote at the council table. I voted against all three and I know that has disappointed some people. Others appreciate that I have applied my usual scrutiny and consideration to each motion. Having a good idea is only the start of reaching a good decision of council. To my mind, you also need to know who it will affect and what it will cost. 3. A report be prepared summarising the views received and the cost implications of continuing the concept for the 2016/2017 financial year. A temporary mall in High St is not a bad idea. 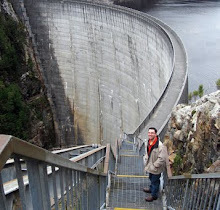 It has been done before, on Christmas Parade days, special markets and retail promotions, and at least one Targa Tasmania lunch break. But there are a couple of problems with this proposal. The first is that it seems to be a mall without a purpose. The suggestion is to close High St between Burnett and Charles St, for eight hours every Sunday for three months. What for? What will happen in those hours? Who will organise it? How will it be promoted? My feeling is that some of the traders in High St will not welcome the proposed temporary mall and they will be even less impressed if they find that the street is closed for no reason. The general manager in his advice has pointed out that there will be a cost involved in closing and reopening the street. He estimates this to be $2000. The general manager also suggests that the council may need to take direct responsibility for providing entertainment and activities - and that will cost money. None of this has been budgeted for. The other problem is the absence of formal consultation with the people this will affect most - the traders in High St. I do not doubt that the mayor has spoken with some of the businesses, as I have, and I believe some other councillors have too. The suggestion that the views of the traders and the general public be sought AFTER the three month trial is unacceptable. A temporary mall in High St is not a bad idea but it needs a better plan than the one put before us tonight. 3. A report be prepared following the trial period, to include feedback from the itinerant traders, retail food providers in New Norfolk and the general public. I appreciate the idea behind this proposal but it has the same fundamental flaw as the motion for the temporary mall. It suggests taking action that will directly impact on some of our local businesses without seeking their opinion until after the fact. Since last month this motion has expanded from a trial in High St on Sundays, to now encompass the area in or near High St, plus the Esplanade and Tynwald Park, on any day of the week and at times to be approved by the general manager. Supporting the existing shops in High St and helping to fill the empty ones should be our priority, not bringing in itinerant vendors who don't pay any rates, probably don't employ local people, and under this version of the proposal, will not pay any site fees either. Most of our traders are family businesses and nearly all of the local cafes have tried extending their hours into the evening and on weekends but have not found the level of support needed to continue. They also need a day off now and then. It is a shame that the Esplanade and Tynwald Park have been bundled in with High St in this motion, as I would have had no problem supporting a trial in those locations, with an appropriate site fee, and perhaps including Willow Court too. Proposal: That the council introduce a Facebook and Twitter page. I am all for improving council communications and have been doing so in my own way since my election. Facebook is not necessarily better communication. In fact, if it is not done well, it could be worse than not having Facebook at all. If we are going to use Facebook we have to be serious about it and that involves staffing it. Unless we can be sure that an answer can be provided to a person asking at 11pm on a Saturday if the tip is open the next day, we are better sticking by the council's existing position of not having Facebook. Our priority should be to launch the new council website which as far as I am aware is paid for and practically ready to go. THE next council meeting will be held at the New Norfolk Courthouse in Circle St this Thursday night, starting at 6.30pm and you are very welcome to join us. If you would like any assistance or information about the meeting, please do get in touch. Next month's meeting will be held at Westerway on March 17, starting with a community forum at 6.30pm followed by the council meeting at 7pm. The Hodgman Liberal Government is committed to improving the efficiency and governance of local government and reducing costs to ratepayers. Today I announce a targeted review of the Local Government Act 1993 which is timely given current community concern over how some councils are managing their affairs. How and why some councils make their decisions are under the microscope at the moment and our review of the Act is precisely aimed at improving governance arrangements within our councils. Local Government must be efficient and effective and deliver good value for ratepayers if we want to make Tasmania the best place in the country to live, work, invest and raise a family. This targeted review of the Local Government Act will ensure the legislative framework for local government is effective and efficient, with a focus on governance improvement. I want everyone interested in local government to have their say and be consulted. I’m sure there are plenty of good ideas out in the community and ultimately we want to deliver a legislative framework that promotes good governance and enables local government to deliver improved services to communities. A Steering Committee has been established, chaired by Department of Premier and Cabinet’s Deputy Secretary Rebekah Burton and including representatives from the Department’s Local Government Division, the Local Government Association of Tasmania and the Local Government Professionals Australia (Tasmania). While I expect local government to play a significant role in the review, I also encourage all interested parties, including community groups and members of the public, to participate in the review process. In a few months’ time I will be releasing a discussion paper outlining a range of ideas identified by the Government, or raised by members of the public and local government, to help inform people who wish to make submissions. I anticipate any necessary amendments to the Act as a result of the review will be introduced to Parliament by May 2017. - the reduction of unnecessary administrative requirements.